When we left Sydney I had to leave my beautiful curry leaf plant behind. It was so handy being able to pop into the garden, tear off a sprig and run back in to pop it into a curry. I don’t have that luxury here. I suspect the climate gets far too cold for curry leaves to grow. In fact, most supermarkets don’t stock them here. You need to specifically visit an Asian or Indian supermarket to get them and they’re not all that common. I started stocking up last year whenever I went to the Indian grocery but quickly discovered that curry leaves don’t keep all that well in the fridge and just crumble in the freezer. 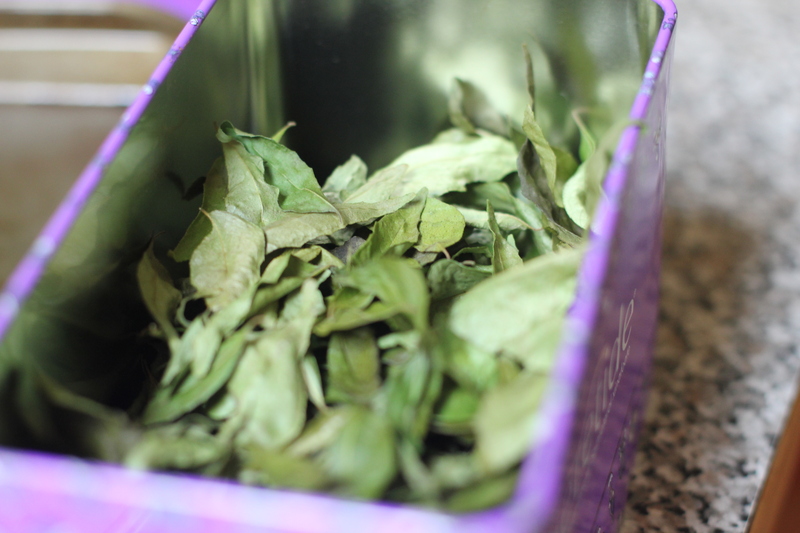 I then took to the drying them and putting them in a tin and now I have curry leaves all year round, except when I forget to go to the Indian grocer or Callum throws them out of the trolley without me noticing. 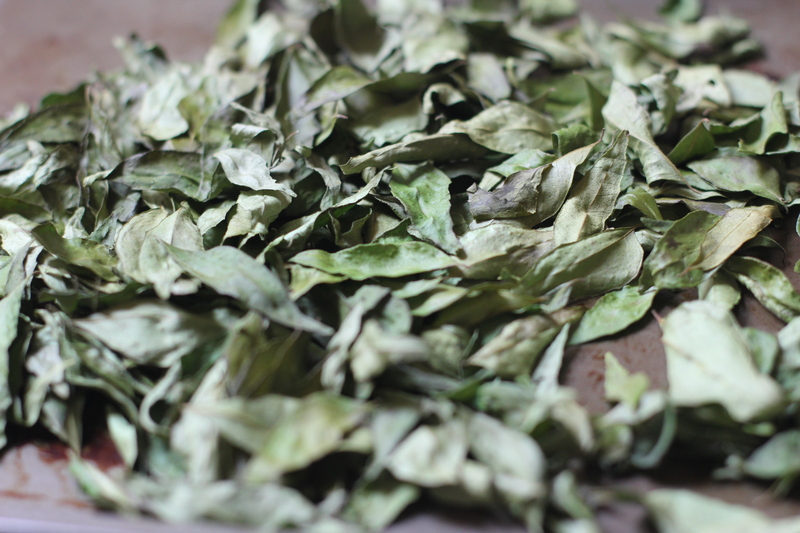 Simple de-sprig your curry leaves and give them a good wash and drain. Place them in single layer on an oven tray and put them in a 120 degree celsius (250 fahrenheit) oven for about 20-30 minutes until they’re dry but still green. Make sure there is no residual moisture and all leaves are nice and dry. Place them in an airtight container. I’ve had mine for about 3-4 months without any issues.